Anyone want to adopt an orphan? So fine, I’ll admit it, I was looking for inspiration for the blog tonight, and then I remembered this meme I saw yesterday. And given that the last blog was a cheeky look at ways I could move to America, I thought this was perfect as another one. Yes, lets face it, the authorities would have a fit over anyone adopting a 58 year old, admit it! Apart from anything else, I’m sure the rules would have an age limit for such events, which I suspect is 18, but dont quote me on that! Right, I’m not quite the cute orphan Annie type lol! 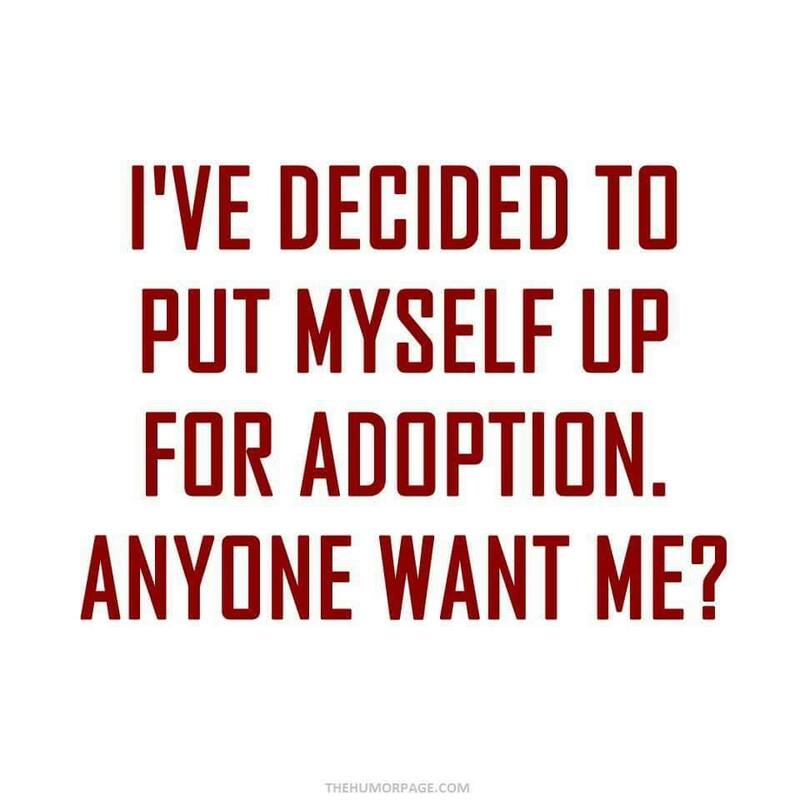 Equally, strictly, I’m an orphan, with no known family, so…? If anyone with legal knowledge knows the answers to these matters, feel free to shout out! Think I know the answers, but… Yes, I think the marriage option is still the best one lol! Oh fine, there is equally the mad scientist seeking a helpless female to do interesting experiments on, option, but I think, sadly, thats about as likely as being adopted! Oh, I wish! Or a Dominant, seeking a submissive…Yeah I know, pigs fly! Alright, I’ll try to find something more original for midweek, probably Wednesday, honest I will. Yes, on a 3 day split, as I have an assessment center for an interview on Tuesday, and given its in Halifax, its probably going to chew up a fair bit of the day. So being practical, 3 days is more likely. The video, what someone might conceivably say to me, but I doubt it! Author stevielounicksPosted on May 1, 2016 Categories Adoption, Eddie Holman, Job Interview, Mad scientist, MemesLeave a comment on Anyone want to adopt an orphan?